Sending a parcel is easy right? Just stick the item you’d like to send in a suitable container, slap an address label on it, call a courier to collect it, and Bob’s your Auntie’s Uncle’s Monkey’s cat. No? Well, no. At Low Cost Parcels we make sending a parcel as easy as we possibly can. We do that to make your life easier. Behind the scenes we’re working our arses off to make sure your parcel gets there. But on the surface we’re the very picture of serenity. Calm, embodied in a bright orange casing. And that’s how we want your parcel-sending experience to be. From beginning to end. The packaging you use to encase your item is crucial to its safe arrival. First off, the box. We’re hoping for a strong, corrugated cardboard box to protect your items. Really go to town with heavy duty, double-layered boxes for valuable or fragile stuff. Choose really good packaging materials – don’t dig out last week’s newspaper from the recycling bin. Polystyrene chips, polystyrene foam, bubble wrap, air cushions or shredded paper are definitely the way forward. Get it taped up. Invest in some strong tape to secure all the open parts of the parcel. That cool strapping you see on loads of heavy, large packages is great (as long as it’s on tight and won’t snag during sorting) but it shouldn’t be at the expense of proper taping of the item. Pack smaller items in jiffy bags – they’re strong, durable and come with their own padding. It keeps it simple. If you’re recycling packaging (that’s cool, don’t be ashamed, we love the planet too…) make sure you remove ALL old labels before placing the new ones on there. We like simplicity, not confusion. Damaged packaging - we’re all for recycling (we’ve already told you that…) but please make sure the packaging you’re using wasn’t treated badly in a previous outing. No holes, tears or general skulduggery. Good shape is the best shape. Don’t rely on ‘fragile’ or ‘handle with care’ labels to get your package there safely. Just like a good boy scout, be prepared and have proper supplies to hand. 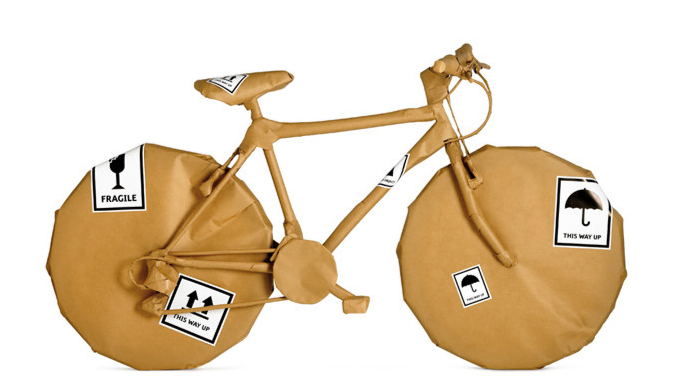 Package, package, package – it’s the way to a safe delivery. Chuck out the circular tube packaging when sending posters, blueprints, rolled paperwork. Triangular is the way forward. They don’t roll about and they’re much less likely to get lost as a result. However tempting it may be, never wrap the outside of your parcel with attractive wrapping paper if you aren’t prepared for it to get damaged. Wrap that beauty up on the inside instead. Now we’ve got that sorted, we’re ready to send it! You’ve already found our website so you’re most of the way there. If you’d like to know more about Low Cost Parcels, get in touch. But if you’re happy to let our fantastic Low Cost Parcels team take all the worry and stress out of your parcel collection and delivery, all you need to do is let us know whether you’re an individual or a business, fill in your details and we’ll do the rest.